Library of America, 9781598530346, 1000pp. Cheever’s superlative gifts as a storyteller are evident even in his first published work, “Expelled” (1930), which appeared in The New Republic when he was only 18: “I felt that I was hearing for the first time the voice of a new generation,” said Malcolm Cowley, then an editor at the magazine. Moving to Manhattan from his native Massachusetts, Cheever began publishing stories in The New Yorker in the 1930s, establishing a crucial if sometimes contentious relationship that would last for much of his career. His debut collection, The Way Some People Live (1943), was a book that he effectively disowned, regarding it as apprentice work; the best stories in the volume, as selected by editor Blake Bailey, are here restored to print for the first time, offering—along with seven other stories that Cheever never collected—an intriguing glimpse into his early development. 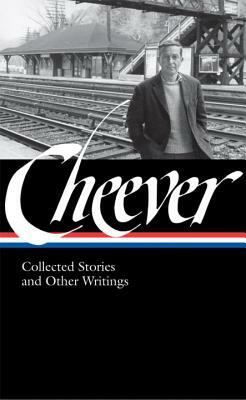 This volume, published to coincide with Blake Bailey’s groundbreaking biography, is the largest collection of Cheever’s stories ever published, and celebrates his indelible achievement by gathering the complete Stories of John Cheever (1978), as well as seven stories from The Way Some People Live and seven additional stories first published in periodicals between 1930 and 1953. Also included are several short essays on writers and writing, including a previously unpublished speech on Saul Bellow.